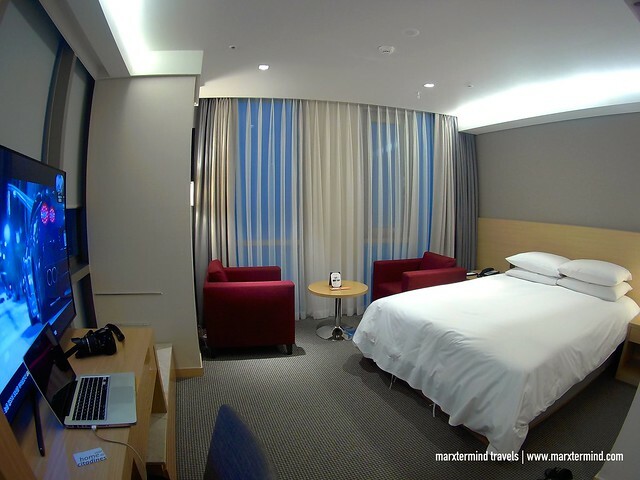 A comfy room with excellent facilities, Hotel RegentMarine The Blue was my home for three nights in Jeju Island. It is an ideal place to stay because of the many great things about the hotel. It has a good location. The hotel is modern offering quality accommodations. It provides the best in services and amenities. Staying here was certainly a wonderful part of my vacation in Jeju Island. Hotel RegentMarine The Blue is close to the city center. The airport is also nearby, which can be reached within 15 minutes drive. I actually didn’t find it hard to reach the hotel even if I just took a bus from the airport. It has a convenient location that also offers easy access to some must-see destinations. If you’re joining group tours, this is also a great base because tour companies start picking up guests on this side of Jeju. Staying at Hotel RegentMarine The Blue didn’t just give me the convenience I needed. It also provided me the relaxation and comfort, which I wanted to have for this trip. That day when I arrived at the hotel, I just had an all-day tour in Busan then took a flight to Jeju. So imagine how busy that day was for me. I came that night tired and sleepy that I already forgot to have dinner. I went to bed right away and took my much-needed rest. Thanks to the comfy room I had in the hotel. Hotel RegentMarine The Blue has 327 guest rooms that are well equipped and smartly designed. Each room offers abundant space and variety of comforts. Rooms are categorized to Twin Room, Double Room and Family Room. You may check room rates and availability here. My room was a Deluxe Double Room. It was modern and clean. The room is air-conditioned with a spacious bathroom and a comfy double bed. There’s also a sofa and desk. The room also has flat-screen TV, a personal locker, an iron, refrigerator and an electric kettle. The hotel is located at the seaside. I got a room with a sea view, which was quite nice. I love the space in my room. It wasn’t that big but comfortably sufficient for myself. I also love the bathroom because it was spacious and bright. The en suite bathroom comes with free toiletries, slippers and a hairdryer. Bathrobes are also provided. My room at Hotel RegentMarine The Blue essentially has everything I needed to enjoy my stay in Jeju Island. I was able to like the room instantly because of its great amenities and soothing vibe. I had a restful sleep throughout my entire stay and oh boy, I somehow didn’t want to leave my room anymore. Hotel RegentMarine The Blue also provides access to great services and facilities including complimentary Wi-Fi, restaurant, fitness centre and a seasonal outdoor pool. The pool is on the rooftop, which also offers stunning ocean views. There is also convenience store and a self-service laundry room on site. If you need a place to eat, the hotel has its own restaurant. It serves food and drinks from breakfast to dinner. 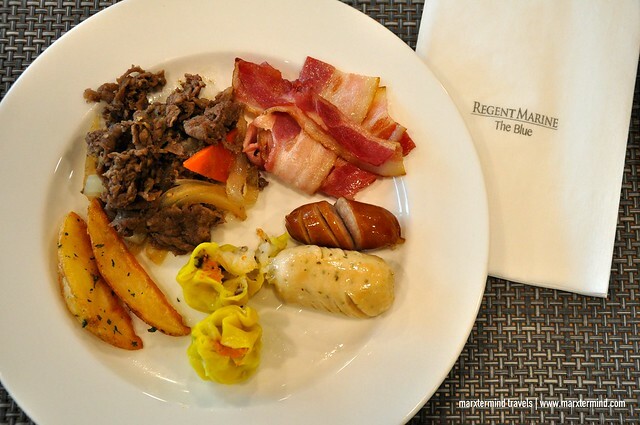 Guests can enjoy buffet breakfast that consists of selections of local and other breakfast favourites. There’s Korean and other local cuisines. 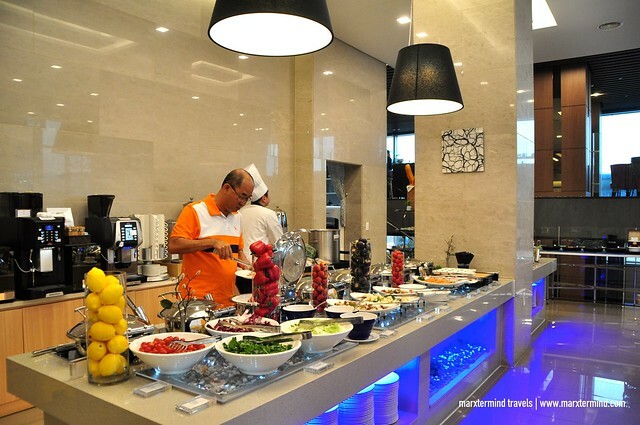 There are also stations for pastries, salad, noodles, fruits and beverages. I enjoyed the breakfast in general. Bulgogi was my most favourite. But I hope there would be more variants and selections everyday. 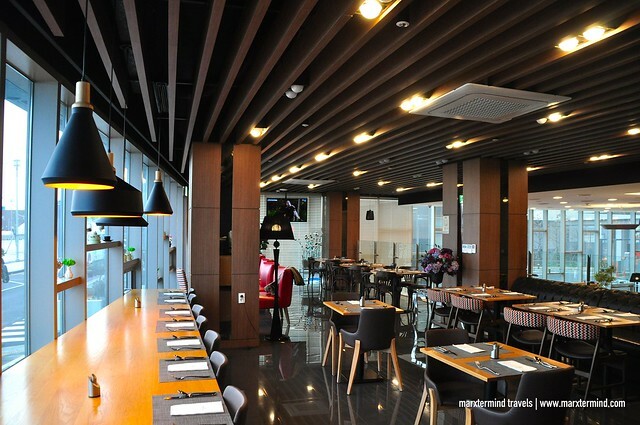 If you want to explore other options for food, the hotel is just right across the street where some of the restaurants serving Black Pork, a must try when in Jeju Island. It was a pleasant three nights staying at Hotel RegentMarine The Blue. 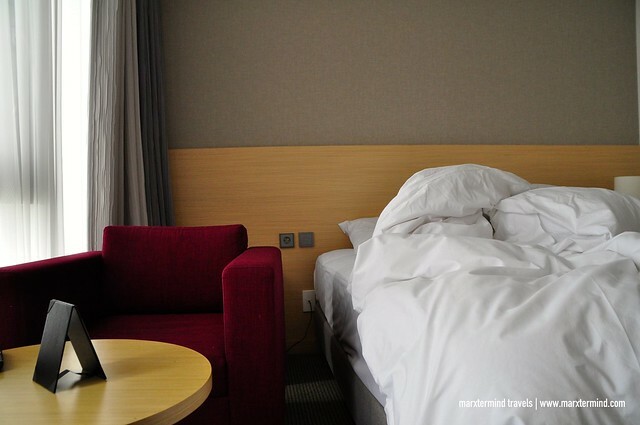 I enjoyed the hotel and felt comfortable. 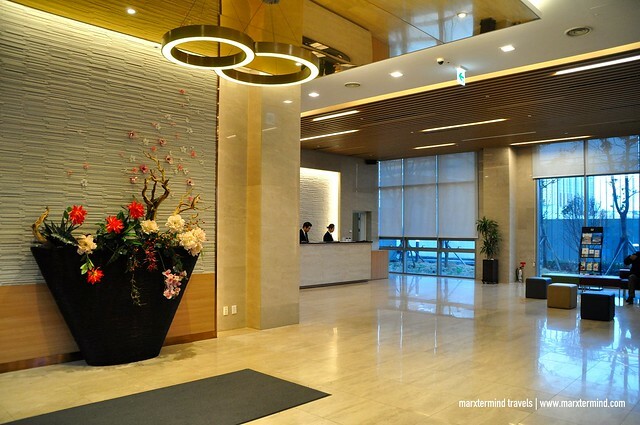 The convenient location, cozy room and outstanding facilities indeed make Hotel RegentMarine The Blue, a place to stay in Jeju Island.